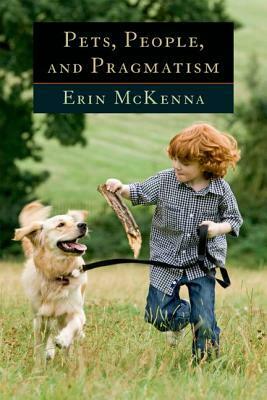 Pets, People, and Pragmatism examines human relationships with pets without assuming that such relations are either benign or unnatural and to be avoided. The book addresses a lack of respect in pet-people relationships; for respectful relationships to be a real possibility, however, humans must make the effort to understand the beings with which we live, work, and play. American pragmatism understands that humans and other animal beings have been interacting and transforming each other for thousands of years. There is nothing "unnatural" about the human domestication of other animal beings, though domestication does raise specific practical and ethical questions. A pragmatist account of our relationship with those animal beings commonly considered as pets does not prohibit the use of these beings in research, entertainment, competition, or work. It does, however, find abuse and neglect ethical. Because abuse can occur in any use of other animal beings, this pragmatist account takes up the abusive practices in research, entertainment, competition, and work without arguing that these practices are inherently abusive. Some of the sources of abuse have been addressed by utilitarian and deontological accounts, but a pragmatist evolutionary perspective offers unique insights and results in some surprising conclusions: For instance, there may be an ethical obligation to let a horse race, a dog show, or a cat compete in agility. Pets, People, and Pragmatism embarks on a philosophical journey that will captivate scholars and pet enthusiasts alike. It provides an important contribution to longstanding debates in the area of animal issues and strengthens the idea of multiple approaches to nonhuman beings. It also opens space for approaches that challenge some of the assumptions in the field of philosophy that have resulted in a dualistic and hierarchical approach to metaphysics and ethics.